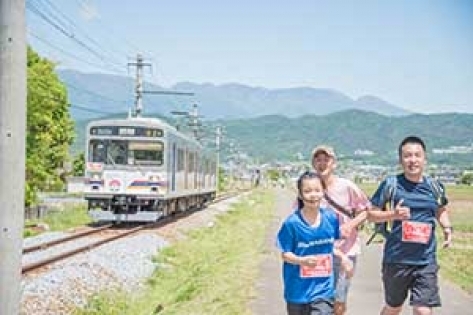 This unique running and walking event is fun for everyone. See Japan's beautiful countryside.Follow this historic train-line and see the well preserved stations along the way. Place: Ueda city Nagano Pref. 1.Round trip tickets between ueda and bessho onsen spa.